Set your alarm! First day of practice begins Tuesday, April 2nd at 7:00am at the Whitmore Track & Field Facility! Members and guests are welcome to our first day of practice. Make a positive difference in a loved one's life by introducing them to running in the Eastern Sierras! Calling all runners! I’m Andrew Kastor, Coach of the Mammoth Track Club, and my mission is to support runners of all abilities in a place I know first-hand where running dreams come true. Starting April 2nd we will be holding our weekly “Striders” (now “Mammoth Track Club”) practices on Tuesday mornings at 7 am at the new Mammoth Track & Field facility. We are planning an introductory clinic for beginning and continuing runners at the first Tuesday morning session. In addition we will be hosting a run every Thursday evening at 5:00 at Mammoth Creek Park. 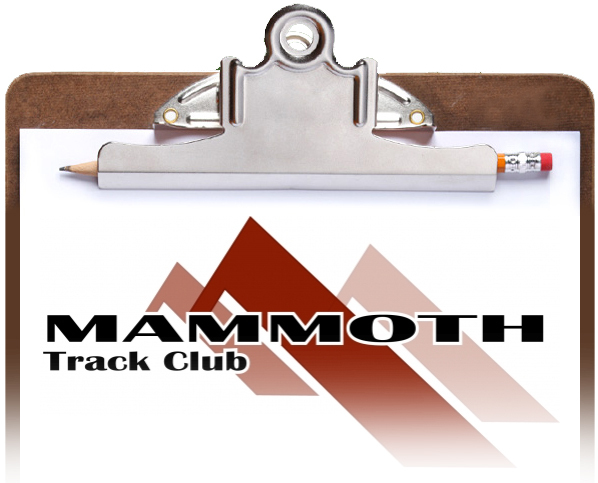 Be sure to visit our website www.mammothtrackclub.com to join the Mammoth Track Club and check the calendar for the dates and locations of our practices. Everything running in Mammoth Lakes will operate under our club – the races and special events we sponsor, the practices for amateurs and elites we hold and our welcoming of teams and individuals from around the globe. With our new Mammoth Track & Field facility and our growing Mammoth Track Club membership we are truly building a high altitude training center! There is so much to look forward to! I feel so lucky to do what I love in the community I love best. For over 32 years Footloose Sports has been nationally recognized as a renowned boot fitting and service- oriented ski shop. Since opening their doors in 1981, their mission has been getting people outfitted in the best possible gear. Co-owner Tony Colosardo said “Working with customers is my favorite part of the business. I enjoy meeting and greeting locals and visitors who frequent the shop and value where we live." Winter is high-time for Footloose Sports yet it has grown to outfit athletes of every the season. In the summer months you can be fitted in the perfect pair of running shoes and warm weather apparel. Owners Corty Lawrence and Tony & Andrea Colosardo are committed to their customers while also committing to the betterment of the Town of Mammoth Lakes. “We like living in a small community,” said Tony Colosardo. “There is such a variety of people living here, yet we all value our time outdoors. Whether we ski, bike or run, we are all part of an active community,” he continued. The Mammoth Track Club is fortunate to have partnered with Footloose Sports for two of our Club’s premier events in town. The Footloose Freedom Mile takes place just minutes prior to the July 4th parade on Old Mammoth Road. Later in the summer, this great business is also the title sponsor of the Footloose Charthouse 5K. Both these races are family oriented and have great participation. “We enjoy the races because it is a great way to give back to the community who has given to us over the years. We are only successful because of this community and it is great to give back, “Colosardo added. “We are fortunate to be a part of Mammoth’s growing running popularity. Thanks to Deena, Meb and the most recent addition of the track, Footloose Sports is very supportive of our community becoming a high altitude training center for runners around the world.” This thriving Mammoth business is certainly part of the successful running scene here in our Sierra Nevada town. At the corner of Old Mammoth Road and Main Street, Footloose Sports usually has a full parking lot no matter the season, but you will be treated as a valued customer no matter your sporting needs. We caught up with local doctor, club member and back-country enthusiast Jonathon Bourne to ask him to contribute to this column. Thousand Island Lake loop is one of my favorite long trail runs in the Mammoth area because it shows off some of the best scenery that the High Sierra has to offer. One needs to cross Minaret summit before 7am to drive to Agnew Meadows; otherwise, you are required to take the shuttle bus from Mammoth Mountain Inn. There are three trails to Thousand Island Lake from Agnew Meadow, which is three miles west of Mammoth Mountain Inn on the Red's Meadow road. I prefer to take the high trail, or PCT, which climbs steadily for 2 1/2 miles and then traverses along the west side of the San Joaquin ridge. There are great views of the Ritter range and the upper San Joaquin River. The trail crosses by multiple small streams with the hillside full of wild flowers which bloom most of the summer. 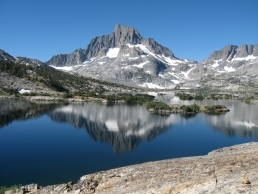 The trail drops and rises several times and reaches Thousand Island Lake at eight miles. From here you run south along the John Muir trail past Emerald Lake, Ruby Lake, Garnett Lake, and Shadow Lake before dropping to cross the San Joaquin river again, and climbing back to Agnew Meadows after a total of eighteen miles. A shorter option would be to return on the river trail to Agnew Meadows. The Mammoth Track Club would like to welcome Bria Wetsch. Bria is 24 years old and originally from Chaska, Minnesota where she had an impressive high school career. She holds the Minnesota state record for the 2-mile and cross country. Her senior year, Bria was 8th at the Footlocker Cross Country Nationals and was the national 2-mile champion. With these amazing accomplishments, she accepted a full scholarship to the University of Oregon where she earned a degree in accounting. Since graduating college in 2010 she has won the Eugene Half marathon in 1:16 and debuted in the marathon at Twin Cities last October where she was 7th in 2:44.45. Now Bria has moved to Mammoth and joined our Club. She looks forward to focusing on the track this summer while competing in the 5000meters and the 10000meters. Look for her to impress with her speed around our new Whitmore track & field facility. After track season, Bria will return to marathon training. Though she and Coach Kastor have yet to determine which marathon she will run, it is certain that Bria will be the next great marathon runner to come out of Mammoth Lakes. She remains in the record books in Minnesota and has chosen Mammoth to fulfill the remainder of her running aspirations. We welcome her and wish her a great 2013 season! 2012 was an exciting year for our club and for running in Mammoth Lakes. Our summer of running events had the greatest participation with the Footloose Freedom Mile and the Footloose Charthouse 10K. Our volunteers were exceptional, as always, and allowed for visitors and locals to enjoy the thrill of racing in our mountain town. The autumn was thrilling as we hosted the ribbon cutting for the track & field facility. Elaine and Jim Smith moved mountains to follow through with this vision, and we have them to thank for having another place to stride. I may be a bit biased, but I agree with others when they’ve told me this is the most beautiful track & field facility in the entire world! As I reflect on the highlights of last year, I am even more excited for our future. The number of events we host will be growing to include the Mammoth Track Relays and a 12 hour fundraising run for the Whitmore pool and track facilities. Start creating your 4-person team (corporate, family or friends) to compete in the track relay events. As for the track in general, run there and run often to see some of the best distance runners from around the world coming to train here. The Mammoth Track Club has created a buzz in the world of distance running and many individuals and teams will be flocking here to train at our altitude haven. Thanks for being a part of the progress, and as a club we hope to help you elevate yourself 2013! Look for more events, membership benefits and fun changes to help us run and live better. There is so much to be grateful for yet so much to look fowrad to. As a valued member, your ideas are worth hearing! We all know the best ideas usually come in the middle of a run, so please pass on your mid-workout epiphanies. I love having these energy bars on hand after a hard workout. They offer a variety of nutrients from all the great ingredients. 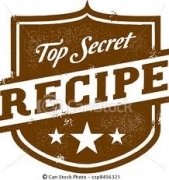 Place figs and dates in food processor and pulse until size resembles rice. Add all other ingredients and pulse until mixture sticks together. Press firmly into 8 X 8 inch baking pan (or roll into bite size balls). Cover tightly with plastic wrap and refrigerate for 30 minutes before cutting into squares. Store in airtight container in refrigerator. 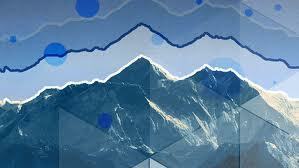 The first variable change at altitude is the decrease in barometric pressure. This begins a chain reaction which leads to hypoxia or the body deprived of adequate oxygen supply. For a runner, this decrease of oxygen in our lungs and blood leads to adaptations in the lungs, heart, blood chemistry and musculo- skeletal system. The extent of these adaptations makes us more efficient at carrying oxygen to our working muscles. Most studies show that it takes 21 days for your body to adapt to the stresses of altitude and gain a training benefit. If you live and train at altitude year-round, you continue to build on the physiological changes therefore having a greater benefit. So, come to Mammoth and stay a while!